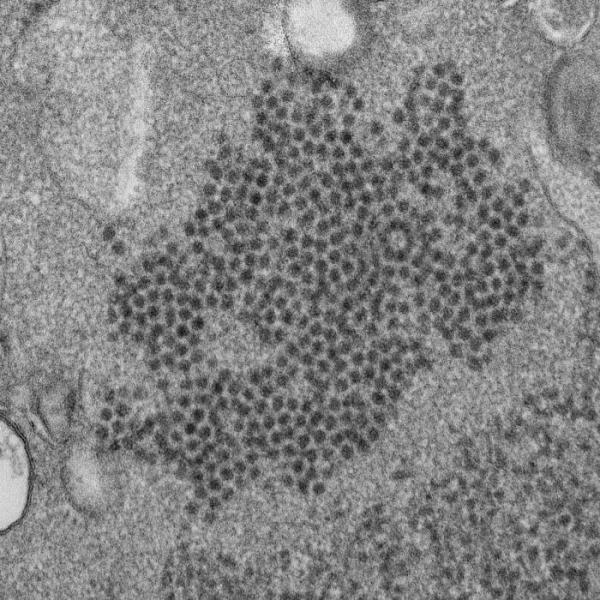 Enterovirus D68 is one of more than 100 viruses in the same family as poliovirus, Picornaviridae. It began in 2014. Doctors noticed a cluster of mysterious cases in Colorado and Wyoming. Children were coming in with weak and paralyzed limbs. Eventually, 120 patients across the U.S. came in with similar symptoms. Doctors and researchers weren’t sure what was going on. Now, four years later, Colorado researchers writing in the journal The Lancet Infectious Diseases believe they may have the answer. Back in 2014, Sarah Pilarowski noticed her daughter Lydia acting strange. Lydia was just getting better after a long fever, and she was sitting at the piano. “I watched as she took her right hand, and she put it on top of her left hand to make her left hand play some piano keys,” says Pilarowski, a pediatrician in Denver. Pilarowski asked her daughter what she was doing. “And she was like, ‘Well, Mom, my hand isn't working right,’” she says. A few days later, Pilarowski noticed that the six-year-old couldn’t eat an ear of corn. It kept falling out of her hands. “And then I started to panic because I realized something was really wrong,” she says. “It's a lot to wrap your brain around, to be thinking that your child is essentially experiencing polio,” says Pilarowski. But was it polio? Doctors around the region were sending children with similar symptoms – dubbed acute flaccid myelitis -- to the same Colorado hospital. A few even needed machines to help them breathe. They showed a stripe of inflammation all down their spinal cords, like West Nile virus or poliovirus. But neither of these viruses was the culprit. Doctors tested for other viruses in the kids’ spinal fluid. Again, nothing. And then they took swabs of the kids mouths and noses. Bingo. “We were finding this newly circulating virus, enterovirus D68,” says Messacar. Doctors in Kansas City and Chicago had noticed an uptick around the same time in enterovirus D68. According to the Centers for Disease Control and Prevention, it was the first recorded nationwide outbreak of the illness. But it didn’t make sense. How can a virus that lives in a person’s nose and throat get all the way into to their spinal cord to cause nerve damage? “That was one of the mysteries. 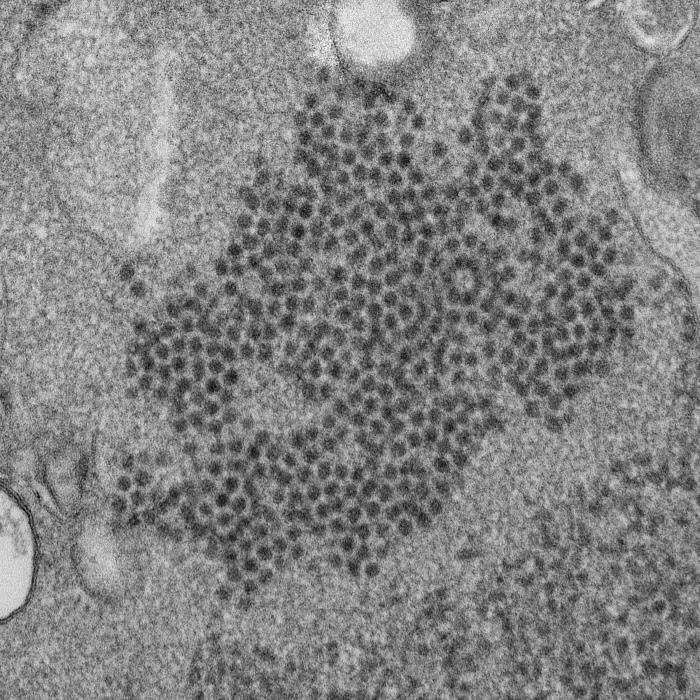 How does a respiratory virus lead to paralysis?” says Messacar --paralysis that still hasn’t gone away for many of the 120 patients in the U.S. that came down with symptoms in 2014. Furthermore, if the virus did make it all the way into the spinal cord, why wasn’t it in the patients’ spinal fluid anymore? The next summer, there were just a few cases here and there but not another big cluster, either of the respiratory illness or of sudden paralysis. “Then in 2016, that was really the clincher, when we saw the virus circulating again from July to October and also saw these cases reappear,” says Messacar. About 150 more people came in with partial paralysis across the U.S. By that time, people in other parts of the world were starting to notice clusters of similar cases, from Japan to Argentina. Messacar says the U.S. outbreaks might have been the tip of the iceberg. “It likely is a very rare complication of a fairly common infection,” he says. To ferret out the connection between the virus and the strange symptoms, Messacar’s colleagues at the University of Colorado School of Medicine gave enterovirus D68 to mice. In repeated experiments, infected animals went partially paralyzed as the virus traveled to the spinal cord and killed nerve cells there. “So, we have a better understanding that this virus is likely causing an active infection in the spinal cord, in the rare cases that it's causing paralysis,” he says. But the question remains: How did the virus get to the spinal cord and why doesn’t it stay there? That question has some still doubting the connection. The CDC website, for example, maintains that the cause of acute flaccid myelitis is unknown. Dr. Daniel Johnson, a pediatric disease specialist with the University of Chicago who has seen patients with the illness, says Messacar’s paper is compelling. But, he says, “I think there always be some hesitation to say that there's definitely causality.” If researchers could consistently find the virus in the affected nerves or in the spinal fluid of patients, he says, that would close the case. But it’s dangerous to biopsy a living person’s nerves, because it can cause more damage. And it might be that the virus has left the spinal fluid by the time a person starts showing symptoms. Still, researchers in China are getting started on a potential vaccine. Others in Maryland are investigating why two people can get the same virus and have such different outcomes – a mild cold versus partial paralysis. And Messacar and his colleagues will keep an eye out for a resurgence. “It would be all of our biggest hope that we don’t see this virus again and that we don’t see increases in this condition again. But we also need to be ready. If it does come back -- if it’s in 2018 or if it’s in 2022 -- we want to make sure that we understand it better and that we eventually can prevent it and treat it,” he says. Meanwhile, Lydia Pilarowski is now 9 years old. Her left arm still won’t cooperate. So, she can’t do cartwheels or swing on the monkey bars very easily. But she can ski. Someday, she’d like to go to the Olympics.